View cart “Pandora Striped Rose” has been added to your cart. 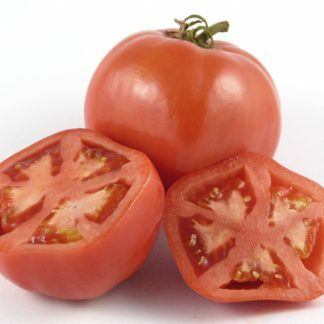 “Pandora Striped Rose” is listed by Muñoz-Falcón and associates in their 2008 study of Listada eggplants as a “Non-Spanish Listada” type from Italy. The study also reported far fewer fruit calyx prickles in Pandora Striped Rose than in the other Spanish and Non-Spanish Listada types they examined. This is excellent for those of you who have ever pricked your fingers while gathering your eggplant harvest. I love the combination of green with the white and rosy purple stripes that is present when the fruits are in the younger stage. 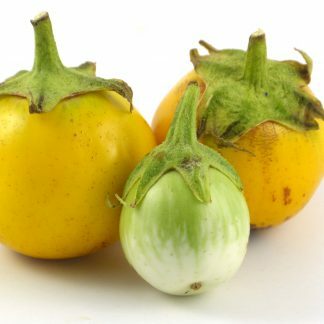 I also like to eat my eggplants in this young, tender stage, before the seeds have chance to darken and become bitter. 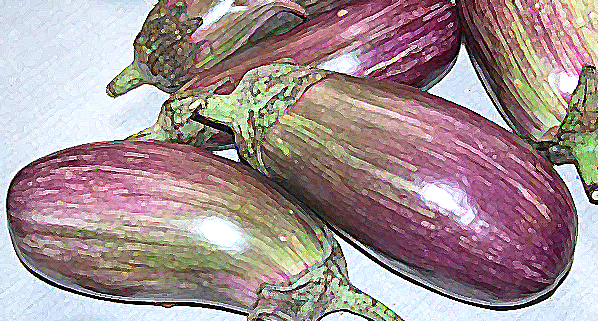 I used my Pandora Striped Rose eggplants at the small size to make Ratatouille, which you will see in my photos. 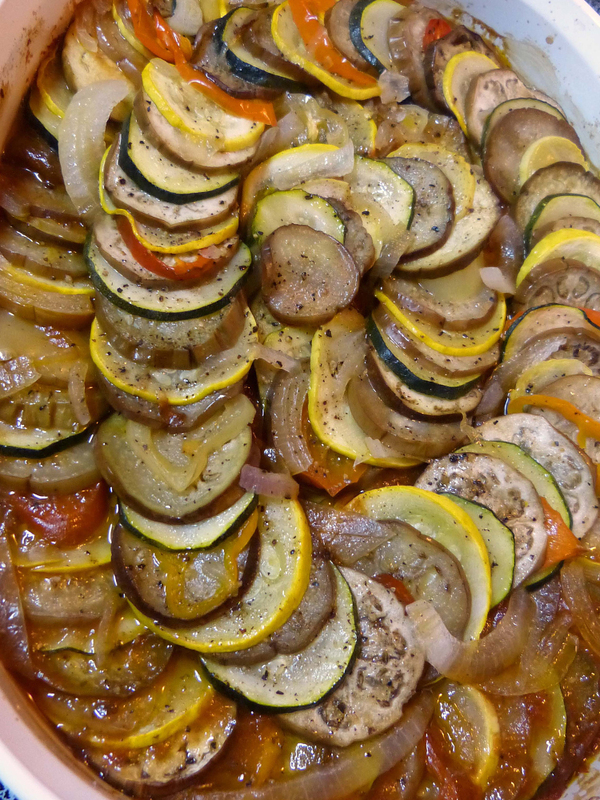 My daughter, by the way, calls this dish “Rat's Patootie,” as the young chef in the movie “Ratatouille” does…but made with tender summer squash, sweet peppers, tender and young eggplants, sweet onions, and hearty garlicky roasted tomato sauce, it is delicious. You can bet your sweet patootie on that.